A Burton Green resident who lives alone has praised Kenilworth Rotary Club for its hard work in organising holidays to Blackpool for those who might miss out on a trip away. 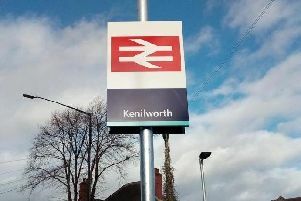 The club is once again offering trips to the Lancashire seaside resort to Kenilworth and Burton Green residents in July and August. And Brian Spicer, of Red Lane, who has made the trip for the past three years, was very positive about the service the Rotarians provided. He said: “I cannot find fault with Rotary about anything to do with the holiday. “I was particularly impressed with the way I was picked up from and returned to my own home by the Rotarians, and the way my cases were taken to and from my room at Blackpool. “Everybody was very friendly and helpful, both the staff at the hotels and fellow holidaymakers. The week-long holidays, for which reservations are already being taken, will be from Thursday July 12 to Thursday July 19, or from Thursday August 9 to Thursday August 16. The trip costs £185 (plus £40 extra for single room occupancy), which includes transport from home to the coach for the journey to Blackpool, bed, breakfast and full evening meals, entertainment, and optional trips during the week. Anyone wishing to book should call Rotarian Colin Wilding on 01926 855899.